The fish counter at Sainsbury’s confused me a lot. They offer you fillets, they put them in a sealed bag, with the marinade of your choice and all you have to do is place it in the oven and bake for 20 minutes. 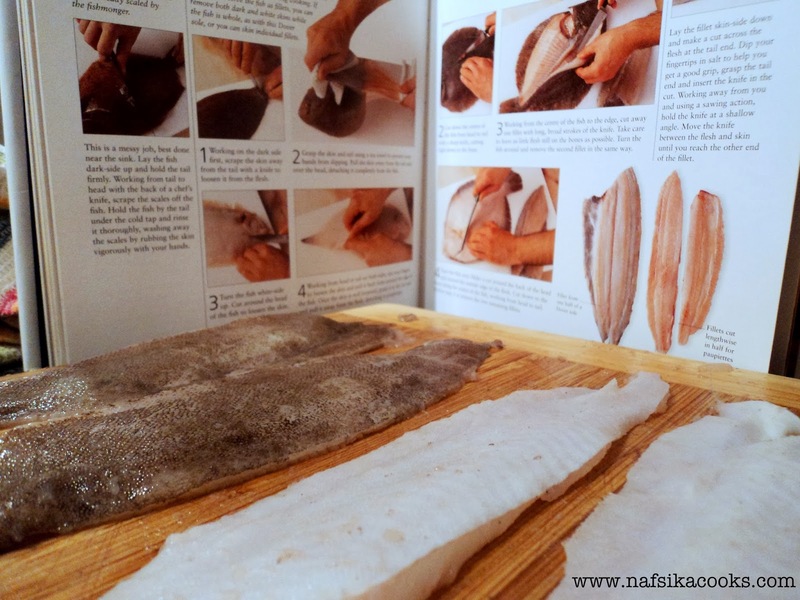 You can literary “buy and cook fresh fish” without never touching it! This seems so odd. Don’t get me wrong, I am all for convenience, especially if you’ve spent a whole day at work, or in the library, or, in my case, both at work and in the library. This fish is much better than frozen lasagne and it is so very easy to prepare: you basically put it in and take it out of the oven. However, I feel that because of this need for convenience, simple cooking fades away as we move towards a life where cooking will be limited to tasks like transferring food from point A (supermarket bag) to point B (oven) to point C (plate), or to maybe checking that the food is “piping hot”, although with the detailed instructions that come with the packaging, even that will not be necessary. Even worse: one’s hands will be clean instead of being oily and sticky. By creating shortcuts for certain tasks such as peeling or chopping the joy of cooking slowly disappears. Convenient foods may be time and labour saving but also leave little or no room for creativity and experimentation as the movements one makes then while in the kitchen are mechanical: Open bag with identical pre-cut vegetables, throw them in boiling water. No more playing around trying to create identical cubes and realising that oh, maybe I am in the mood for long thin stripes today-let’s go for julienne. All this creative process, which for me at least, clears your mind and creates a sentiment of euphoria, not to mention the joy of licking your fingers when they are covered with butter because, well, you just had to butter that oven tray disappear. Sometimes therefore such convenience does not feel right. Wanting to prove myself that no matter how busy one is, there is always time to cook, last week I filleted a fish for the first time! I had tried it once before in Athens, with a poor sea bass which ended up in small pieces mixed with bones –lovely base for a soup. Then for some reason I never tried again and every time I came across a fish I “conveniently” cooked it whole, deboning it while eating. Avoiding things is also one of my favourite tasks! Every so often I would think about trying to do it, but then the idea of ending up with pieces and bones discouraged me. Until two weeks ago. Two weeks ago, at Sainsbury’s fish counter I saw a whole fish which I swear was looking at me expectantly. I thought of buying it and baking it (sea bass with coconut milk and red-yellow-green peppers anyone? ), but I was tired and the fillets looked so...convenient. However, this uncomfortable feeling of not being able to fillet the fish got stuck in my head. I mean, I quit my job and came to London in search of a dream, how much harder can the fish be?! So for the rest of the week I couldn’t help but think of this delicious looking fish and how nice it would be if I could actually clean and fillet it! A week later, again at Sainsbury’s, a sole was there, looking at me again. I decided to be brave and go for it. I got two. I have my Cordon Bleu book with cooking techniques and even though I lost the scholarship for the actual Cordon Bleu, making it to the final round though for second year in a row, that should not mean that I cannot learn the techniques. Best case scenario, if I do get the scholarship I will go there prepared! They say in cooking you need a proper knife for every thing. That couldn’t be more true than when it comes to fish. Not having a fillet knife, I tried to use one of my small paring knifes, which, after (oh, again) bite-size pieces of fish, bones with lots of meat and yet another idea for a fish soup, I realized was not sharp enough. However, I did manage to properly de-skin the fish which I think was a step towards success. Note to the brave reader who will try it at home: using some salt on your fingertips when pulling the skin makes it less slippery. However, the first sole was not a complete failure. I discovered something which, from spending years observing my dad cleaning fish, I concluded was fish eggs. But they were huge! If my dad was here, he would first of all be able to confirm if these were in fact are fish eggs and then, like discovering a hidden treasure, he would fry them with a bit of olive oil and he would sit on his chair, fish eggs, a small tomato cut in pieces and a few pieces of bread on a plate, a glass of ouzo by his side, savouring this delicacy while reading his newspaper. Thinking of calling him to ask what was happening with the fish eggs, I realized the kitchen was a mess and I only had a while until dinner time; I was also getting hungry. So, changing knives and using my chef’s knife this time I started reading again the instructions, looking at the photos in my book, asking aloud why? why don’t you look like a nice fillet you silly bite-size fish pieces?! I took the second fish. Truth be told, a properly sharpened knife does make a huge difference, even if it is not the right one. But you have to be gentle dear reader. Fish meat is very tender, almost like lace and you have to handle it delicately, detaching it from the bones in sharp, smooth moves, creating what appears to be (yes!) a proper fillet! Very proud of myself, I stopped to take lots of photos, as if my achievement needed documentation to become real, and then continued. So a few minutes later, four beautiful fillets were laying on my wooden chopping board, resting, while I was jumping up and down cheering: I can fillet a fish, I can fillet a fish! Cordon Bleu, here I come! All the bones and leftovers went into a pot, with leeks and celery leaves to boil into a delicious broth, which, with the addition of the pieces from the first fish made a wonderful fish soup. However, a dinner invitation came along so food with friends won over the fish fillets, which I placed in the freezer to be enjoyed one cold winter evening. Yes dear reader, filleting a fish is not something you can do at 8 in the evening after a full day, but you can do it on a Sunday and pop it in the freezer. 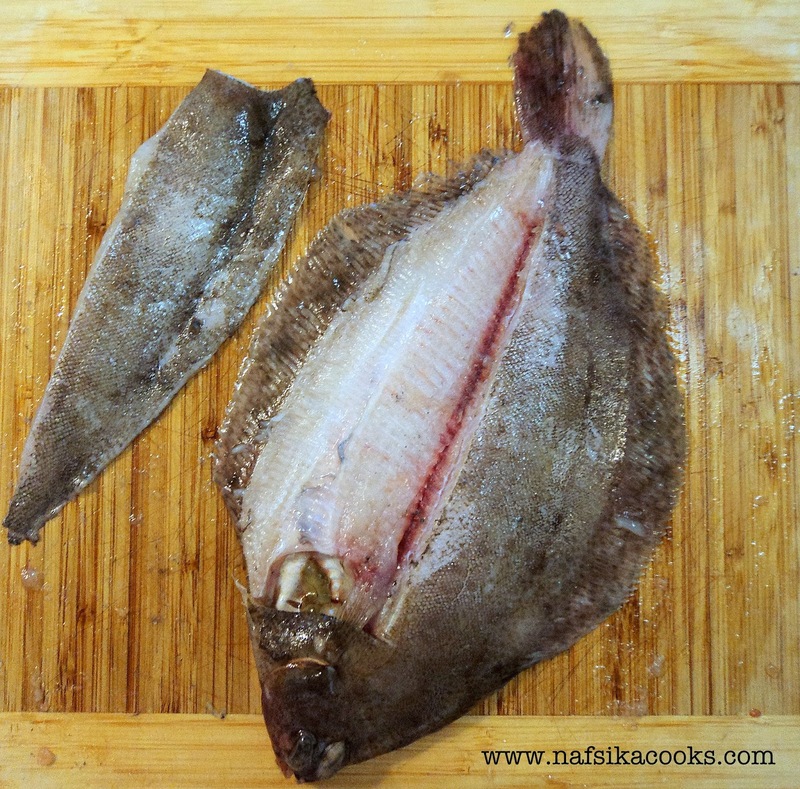 The next time you will come home late you will have a nice filleted fish waiting for you. Joy of cooking vs Convenience: Win-Win.